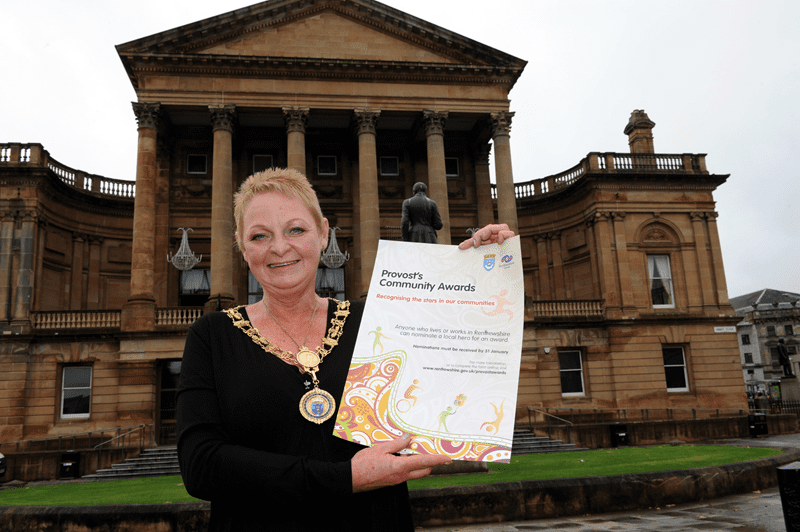 Renfrewshire’s Provost Anne Hall is searching for nominations of local unsung heroes for the forthcoming Provost Community Awards. Nominations are now open providing a chance to recognise people who devote their time to helping others in the community but expect nothing in return. There are five categories under which people can be nominated; Community Group, Community Volunteer, Sporting Achievement, Carers’ Award and Employer of the Year. Provost Hall said: “Every year we uncover new people who work tirelessly for the community for nothing more than the satisfaction that they are making a difference. These awards are an excellent opportunity to thank those whose efforts go under the radar. 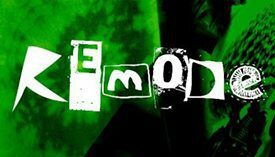 “Nominations are increasing each year which is terrific and deciding on the winners is proving more and more difficult. Three categories are sponsored by local companies- Community Volunteer by Glasgow Airport Ltd; Community Group by the Piazza Shopping Centre; and Sporting Achievement by Acre Industrial and Cleaning Services. The Employer of the Year award is sponsored by Renfrewshire Council Leader Mark MacMIllan and encourages employees to nominate employers who have provided a positive working environment which provides training and development opportunities to its workforce. Former Renfrewshire Provost Nancy Allison donates the Carers’ Award which rewards anyone who cares for a relative, friend or neighbour. 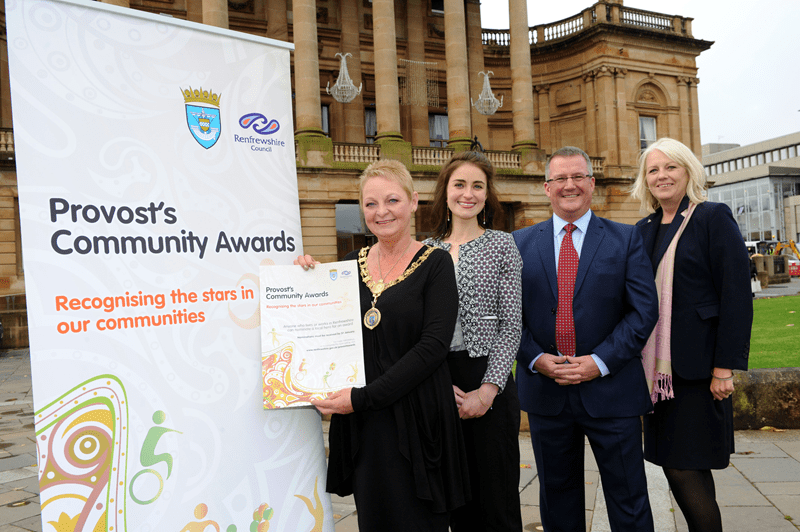 Nominations can be submitted online at www.renfrewshire.gov.uk/provostawards. Printed forms are available at Council offices and facilities. The closing date for nominations is 31 January 2016. Winning candidates will be invited to the Provost’s Community Awards ceremony in March 2016.